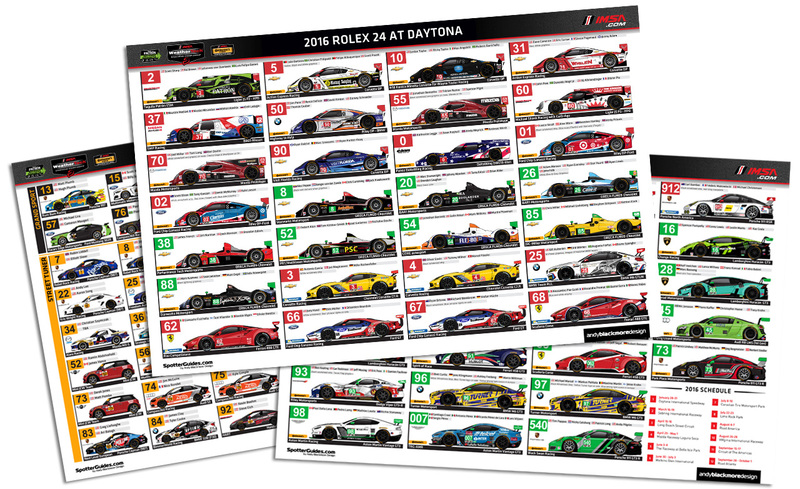 I will be partnering with IMSA again in 2017 to produce their Official Spotter Guide for the series. This will be released in print form (at the track) and online. 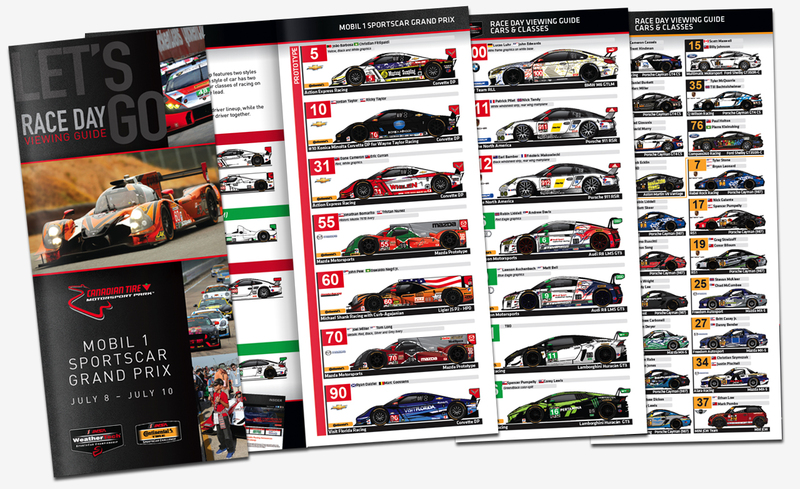 The printed guide will form part of a booklet and be available at the track from Thursday (26th January) in the IMSA Fan zone and else where. This goes to print soon, so there will be some driver changes between then and race day. As with previous seasons, the guide will include the WeatherTech and Continental championships. 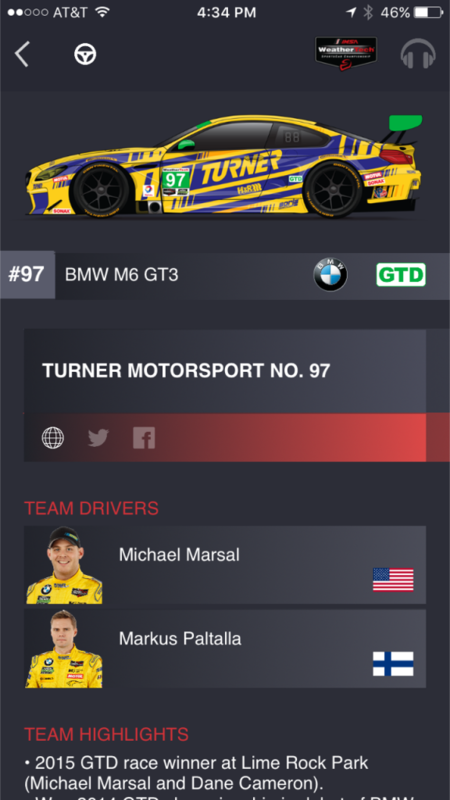 Later in the season, SpotterGuides.com will also host Spotter Guides for IMSA sanctioned races in the Porsche GT3 Challenge USA and Canada, the IMSA Lites and the Lamborghini Super Trofeo Championship. 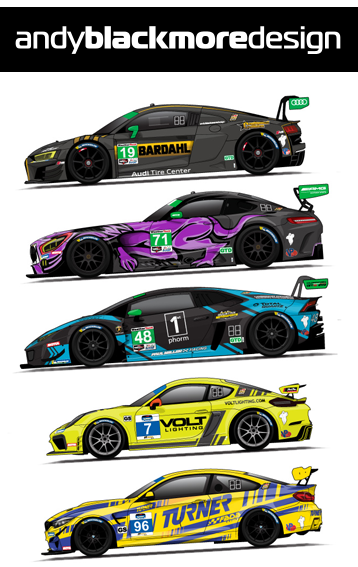 Car illustrations will also appear on the IMSA app and their website. 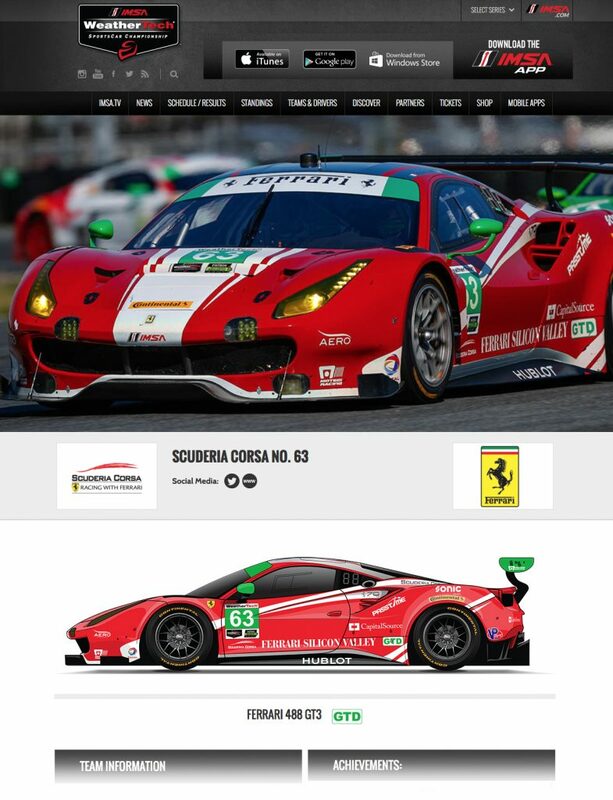 Thanks to everyone for their support of the SpotterGuides.com series and thanks to IMSA for the continued partnership.